My Axial 1/10th scale RTR SCX10 Deadbolt. 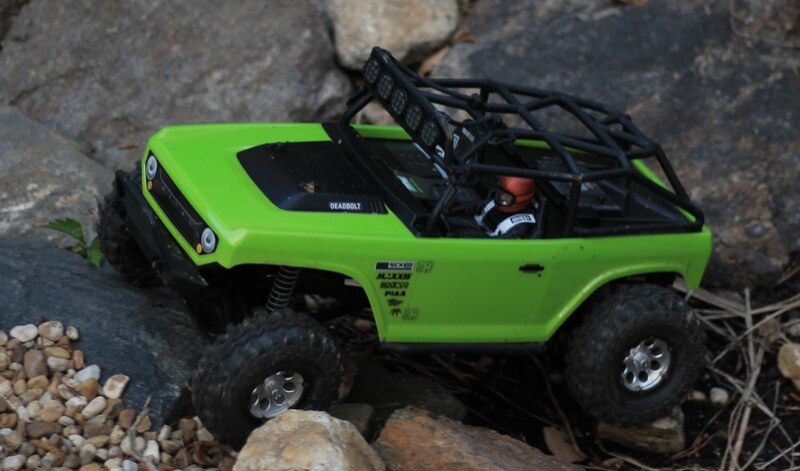 Fun crawler right out of the box. Found this up the other day on Amazon. It's not intended for the Deadbolt but it works and looks great. I removed the original lightbar from the Deadbolt and tossed it aside. I couldn't use the supplied nuts to mount it because there is no roof to mount it on! Instead I used some black zip-ties and strapped it to the cage in a few locations. It seems to be very solid. I've already rolled the truck over several times (one serious tumble, tumble, roll, bounce) and it's not bent or anything. I really like it.